Description: Staple bound booklet has stress creases along spine with a small split in the spine at the bottom. Crease to rear wrap. Corners are lightly bumped and creased. Back surface has a few discoloration spots. 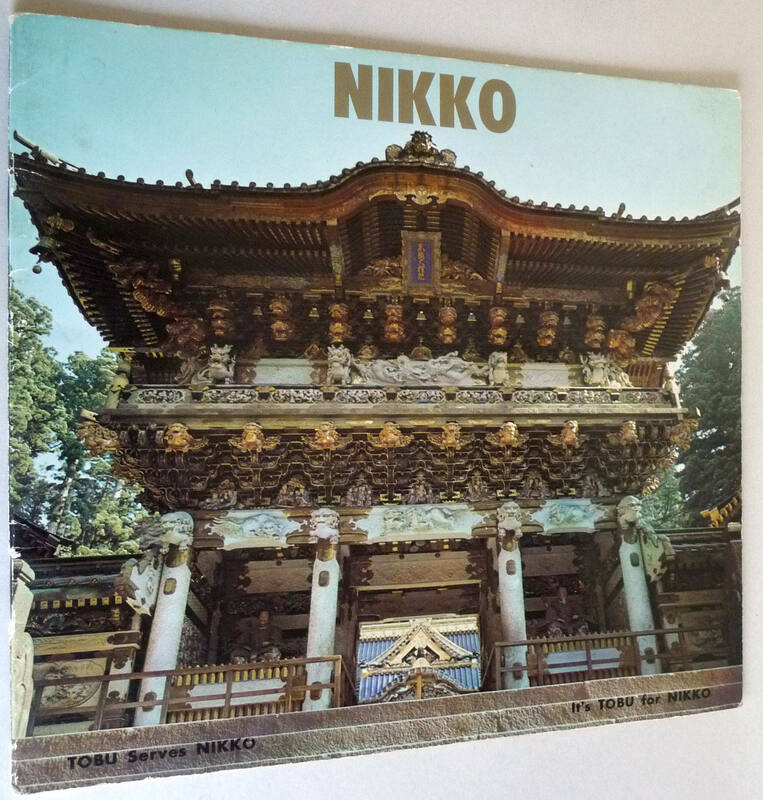 Promotional brochure for Nikko sightseeing via the Tobu Railway system. Promotes the DeLuxe Limited Express Trains. Many full color photos with almost no additional advertising. Brief descriptions of the Avenues of Cryptomerias, Shinkyo Sacred Bridge, Toshogu Shrine, Three Repositiories Wash Basin, Taiyuin Mausoleum, Iroha-zaka Driveway, Kegon Waterfall, and other natural sites. The Tobu Nikko Line is a 94.5 km railway line in Japan operated by the private railway company Tobu Railway. Year: No date given; ca. late 1960's.